The gall bladder is a pear-shaped organ under your liver in the upper abdomen. It stores bile that helps break down fat in your intestine and when not working properly can cause pain, vomiting, fever, chronic diarrhea and gall stones. 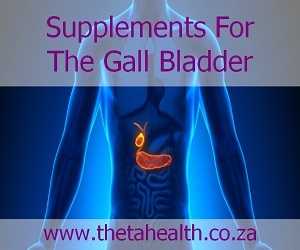 Our gall bladder supplements, vitamins and natural health products below, help keep the gall bladder healthy.